For over two decades, Dr. Jeff has delivered the best in chiropractic care to the Dubuque community, helping those under his care to lead lives of vibrant health. At Stackis Chiropractic, we welcome every member of the family, from newborns, children and moms-to-be to adults, active seniors and sports enthusiasts. We provide our patients with a gentle and customized approach, with a particular emphasis on strong posture and health and wellness optimization. As a child, Dr. Jeff witnessed the health problems endured by his older brother. “He had terrible allergies and sinus problems, and suffered miserably for many years.” On the advice of a friend, his brother consulted with a chiropractor and began treatment. Much to his surprise, his care resulted in almost immediate improvement, and he subsequently became a chiropractor himself. This turn of events eventually led Dr. Jeff to also consider chiropractic as a profession. 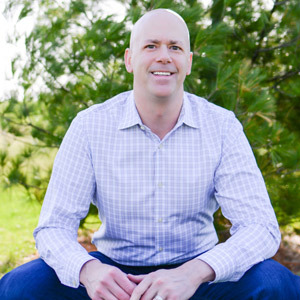 “What really convinced me to choose chiropractic as a career was the appeal of its natural healing philosophy.” Dr. Jeff received his Doctor of Chiropractic from the prestigious Palmer College of Chiropractic in Davenport, Iowa. After graduating in 1993, he initially practiced in Central Iowa and Southern California. He decided to return to his roots in Dubuque in 1996 and opened his current chiropractic healing center. Dr. Jeff is married to Linda, and they have a wonderful son, Sky, who is currently working on his master’s degree in industrial-organizational psychology. Linda works with her husband in the office, and together they are working toward becoming Certified Posture Exercise Professionals (CPEP). Linda has great compassion and empathy for those suffering from pain, as she suffered from horrible headaches before being introduced to the chiropractic lifestyle. When this committed husband-and-wife team isn’t busy helping others, they enjoy an active life pursuing outdoor activities, including biking, hiking and photography. We’d love to welcome you to our family-friendly clinic. We’re very accommodating, and offer same-day appointments and free consultations. Contact us today, and let’s get started!